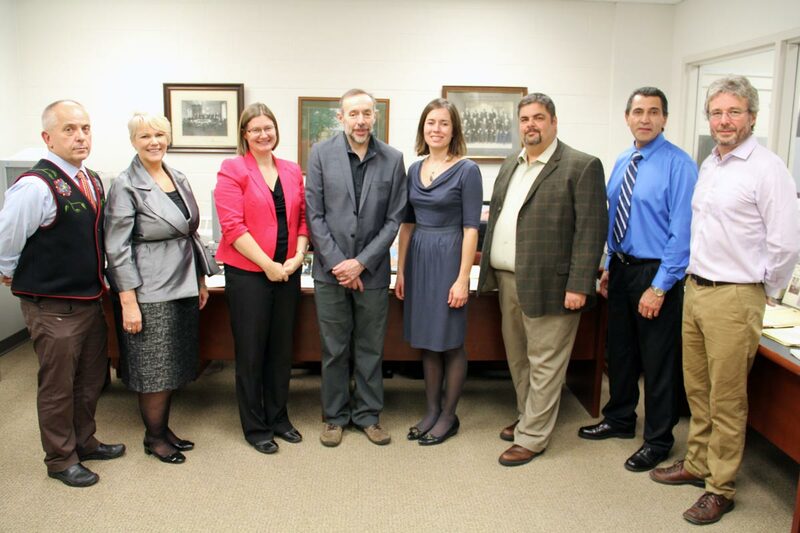 On Oct. 11 the Laurier Archives hosted a visit by Laurier faculty members and senior officials from the university and the government of Canada’s Northwest Territories. The visitors, including The Honourable J. Michael Miltenberger, The Northwest Territories' Minister of Environment and Natural Resources (as well as other portfolios), spoke with Archives staff and perused the university’s collection on the environmental conservation movement in Canada, considered the best such collection in the country. "You have some very interesting materials here," said Minister Miltenberger during the visit. "These are things that don't exist anywhere else, and it's very important to preserve our history." The guests were on campus for the official opening of the Centre for Cold Regions and Water Science, which took place earlier in the day. For more information on the event, click here. The Archives’ collection of records and primary resources documenting the environment includes a rich array of materials on water resources, parks and protected areas, biosphere reserves, and Canada’s north in the 20th and 21st centuries. "I'm not sure enough people here at the university or beyond it are aware of these documents and how important they are for Canadian and also Aboriginal history," said Abby Goodrum, Laurier’s vice-president, research. "It's an amazing collection." The Laurier Archives is open to the university community and is located on the lower level of Laurier's Waterloo campus Library. To visit the Archives online and learn more about its collections, click here.